The Canadian Hard of Hearing Association Sudbury and Volunteer Sudbury want to help employers and people who work with volunteers understand the accessibility needs of people with hearing loss. Volunteer Sudbury will be hosting the training event on April 17, with Kim Scott, the executive director of CHHA Sudbury, who will be giving a presentation and will be available to answer any questions. "People need to learn how to communicate with them, a lot of people presume that things just have to be made louder and that's not correct, most of the time it's we need people to speak a little bit slower, to enunciate clearly, to face us when they're speaking," said Scott, who is also hard of hearing. She says the training will offer the opportunity to gain a better understanding of hearing loss and an opportunity to understand accessibility needs. The event is also important for people with hearing loss, she says, often they don't realize just how many options there are for them to live a normal life. Scott says often people with an invisible disability, like hearing loss, don't want to speak up to tell their employers they need to be accommodated. "They often live in fear of disclosing that they have a problem because of society, there's a lot of stigma out there," she said. "There's a lot of misunderstandings that because they have a disability, they can't do the work that's needed, that there's something wrong in terms of their mental capacity or competency." However, she says once people with hearing loss are accommodated, they can be some of the best employees or volunteers. "People with disabilities and hearing loss are actually great people to work because when you have a disability, you know, we tend to be very loyal, I mean we appreciate being able to work," Scott said. "We get lots of practice at being problem solvers and we sharpen that ability to a razor fine edge, so these are very highly desirable qualities that make them wonderful people to work with and people who can be very productive as volunteers and as employees." 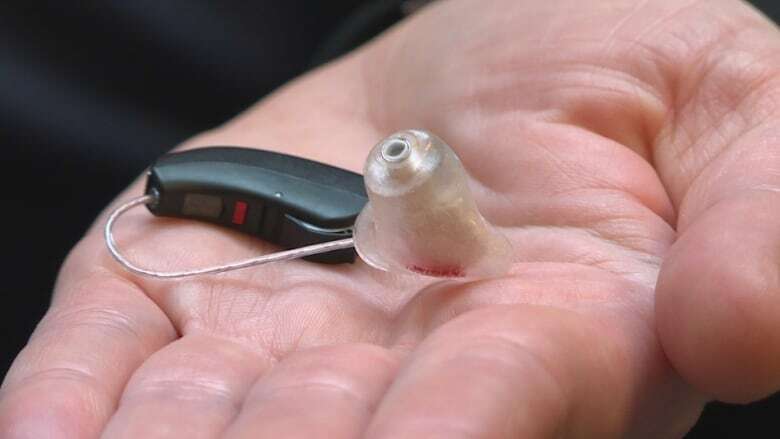 Scott says another issue for people with hearing loss is they often believe there is only one option for them, many who have this disability believe that a hearing aid is all they need to go back to work, which she says is not true. "If they have a hearing loss all they need are hearing aids in order to be able to go to work and it'll restore their hearing and that is absolutely not the case. So often times people with hearing loss they need to have other accommodations made so that they're able to function to their highest and fullest potential," Scott said.